Here’s a few facts to get things started: by 2002 more information was stored in digital forms rather than analogue, by 2007 ninety-four percent of global information was digitally coded information, and we continue to produce 2.5 trillion bytes of data each day. I almost feel guilty posting this blog and adding yet more to this ever increasing phenomenon… but this is exactly the subject matter Somerset House’s current exhibition ‘Big Bang Data’ is exploring. 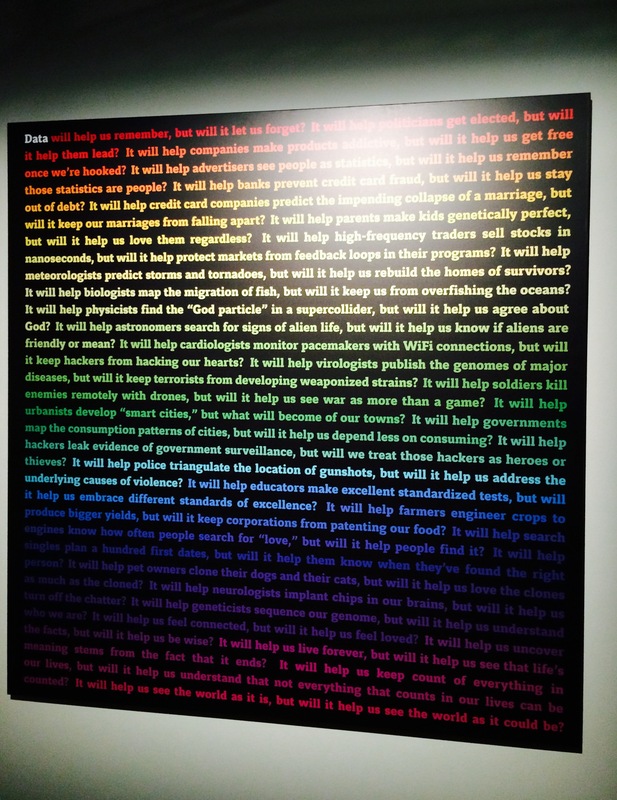 Data is discussed in all forms; from the sheer volume of selfies, tweets, Instagram posts and GPS information produced each day, to how it can be harnessed for the common good, its surveillance, what it fails to tell us, and finally examples of abstract creations by artists and designers using this data. 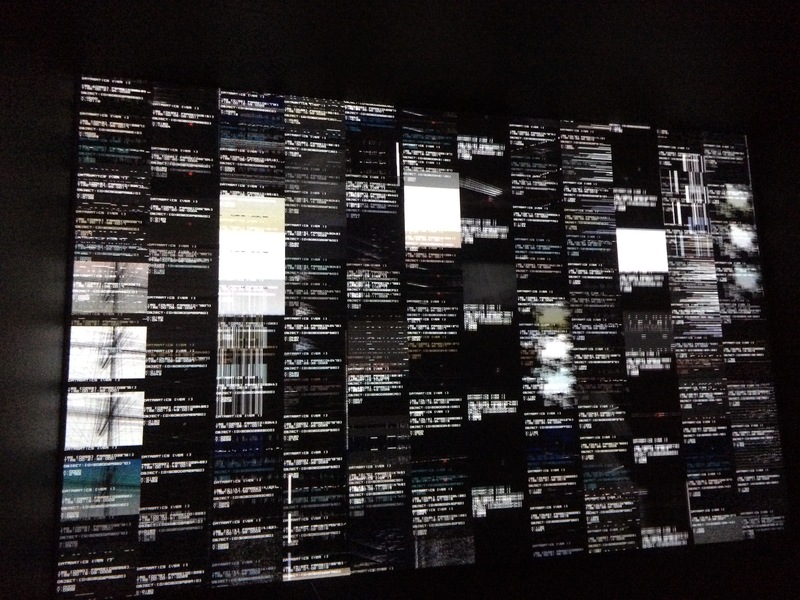 One installation entitled ‘data.tron’ by Ryoji Ikeda highlights the infinite scale of the worlds’ data through a hypnotic and constantly changing screen of mathematic formulae and data sets. 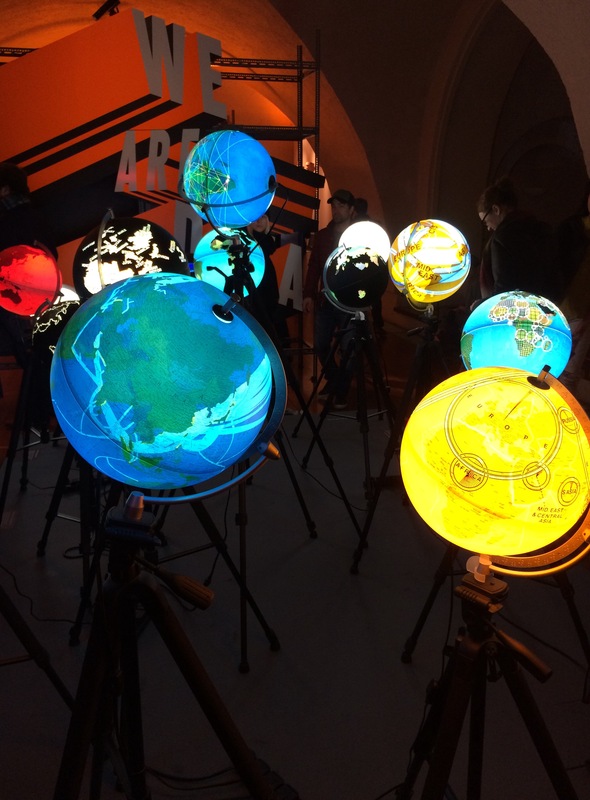 Another innovative interpretation of data came from Ingo Gunther’s ongoing ‘World Processor’ project started in 1988, featuring a series of acrylic globes representing mapped data on political, economic, social, historical, environmental and technological world issues. Data-centrism is also addressed as there is a growing belief that data contains all the answers, failing to acknowledge that numbers can be manipulated and skewed. This is succinctly summarised in Jonathan Harris’ printed monologue ‘Data Will Help Us’ which questions everything from advertising to dating and whether society has now reached a point where we are ignoring context and common sense, to blindly trust data. The exhibition does a compelling job of making a complex (and indeed dry) subject matter not only accessible but interesting and even beautiful. My only criticism is that the curators played it a little safe and could have probed a little deeper and been more controversial.